Our best sellers delivered regularly to keep your home well-stocked with our natural fragrant products. 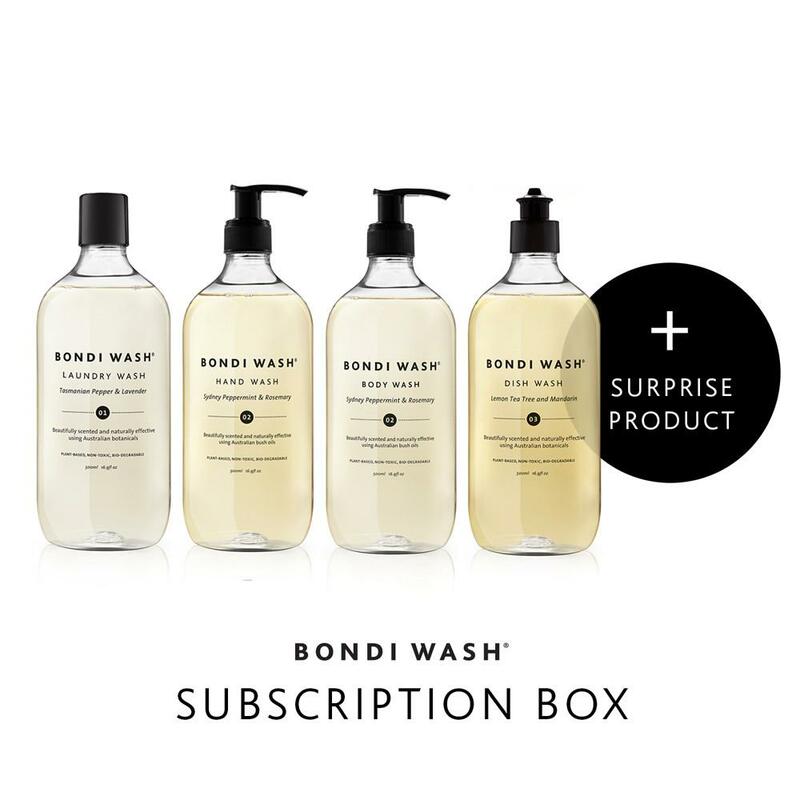 Each month a different surprise item is included (valued at >$15) as a way to introduce new products or longer lasting items like the Mist Spray, Glass Spray or Bench Spray into the subscription service. Body Wash and Hand Wash scents will be mixed and randomly selected. Receive your box every 1,2 or 3 months. Shipping is complimentary. Cancel any time after your second delivery. Discount codes cannot be applied to the subscription box.